Pandas are a revered animal in China which regards them as a symbol of friendship and peace. There are currendly around 1,600 Pandas living in the wild and another 300 living in zoos around the world making them a protected, endangered species. - Air-Cushion Finish. 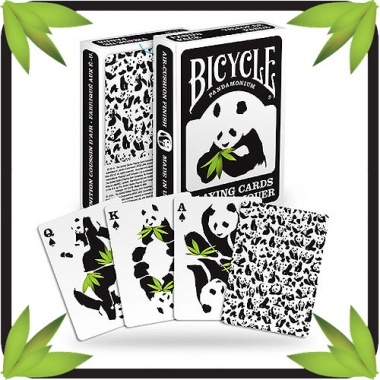 - Court Cards feature large images of Pandas. - Card back features a full-bleed wallpaper of Pandas. - Numbered cards feature Panda icons as the standard pips.